Century 21 Covered Bridges Realty, Inc. in Bloomsburg is proud to recognize Karen Roadarmel as the Sales Agent of the 1st Quarter of 2015. She also was the Sales Agent of the Year for 2014. Roadarmel has been a full-time Realtor with the company for 15 years and is consistently a multi-million dollar producer. 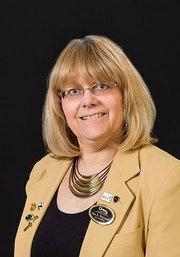 A member of the Central Susquehanna Valley Board of Realtors, she has been recognized repeatedly for her outstanding superior client service as evidenced by her International Century 21 Quality Service Producer awards from 2010 through 2014. Roadarmel stays up-to-date with the latest technology and real estate education and has earned the CRS, GRI, and AHWD designations and certifications. In addition to serving the real estate needs of her clients, she enjoys spending time with her family and attending her grandchildren’s sporting events, racing and camping. She resides in Mainville with her husband, Jack. In addition, Century 21 Covered Bridges Realty Inc. is proud to recognize associate broker Kim Autotore Williams as the Listing Agent of the 1st Quarter of 2015. Williams has been a Realtor for 21 years and part of the Century 21 team for six years. 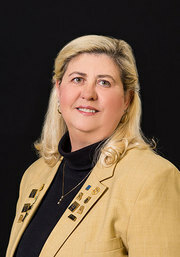 She has been given the Pennsylvania Association of Realtors Excellence Award and the International Century 21 Quality Service Producer Award and has earned the ABR designation. Williams has also been involved in the auction business since the 1970s as an apprentice to her late father, John Autotore, which led her to start her own auction business. New in 2015, Kim’s Auction Service and Century 21 Covered Bridges Realty Inc. have blended services available for clients with unique needs. Williams and her husband, Dennis, who is also an agent with Century 21 Covered Bridges Realty Inc live in Mainville.